If your son wants to be a whip-cracking adventurer like Harrison Ford in the popular movie series, a kid's Indiana Jones jacket is an essential accessory. While Indiana Jones' hat and bullwhip get most of the attention, the leather A-2 bomber style jacket popular in World War II was worn by Indiana Jones throughout all three movies. 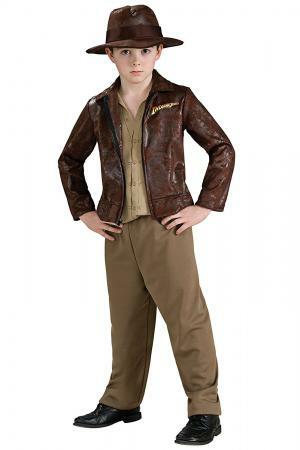 Whether you want to get an authentic replica from the very same maker of Indy's jacket, a similar quality leather piece, or a costume jacket for your young man-s role-playing, you can find what you need online. Plenty of websites sell kids' Indiana Jones jackets at reasonable prices, and in a variety of styles and sizes. In 1980, the Wested company was commissioned to make the original Indiana Jones jacket for the film Indiana Jones and the Raiders of the Lost Ark. Wested continues making high-quality leather jackets, and the "Junior Raiders" piece is no exception. Your son will be wearing an exact replica of the jacket that Harrison Ford wore in the film, complete with a certificate of authenticity. It is available in only one color, the authentic dark brown seen in the Indiana Jones films, and is made out of goatskin. Sizing in done in inches, and range from 26 to 36 inch sizes for about $110. The Wested piece is perfect for true Indiana Jones fans who want only the very best! US Wings, a company that specializes in the sale of authentic bomber jackets, sells a vintage piece styled after the Indiana Jones movies. While it is not "the same" jacket used in the films, it is nearly indistinguishable from the real piece. The Indy-Style adventurer jacket is available for about $495 in sizes small and extra large. 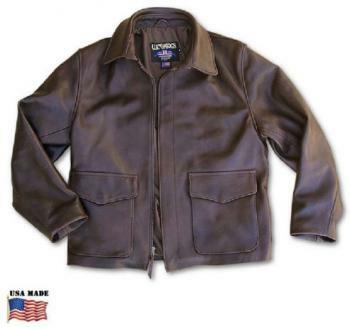 Moreover, since no young adventurer will be happy with a jacket that looks like it needs to be broken in, the US Wings company pre-distresses the jacket for a worn-in look. The officially licensed wool felt Indiana Jones hat that comes for free with a jacket purchase makes this jacket an especially great value. The Leather.com website is the first stop for many leather seekers. All manner of leather jackets and accessories are available for sale. An Indiana Jones jacket from this website is a bit more expensive than some other options, but is made with the highest quality of craftsmanship and materials. 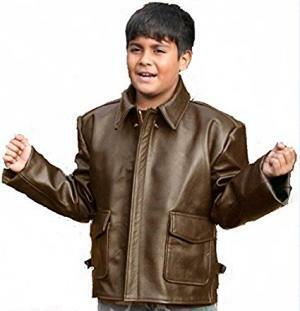 Your son won't be able to tell the difference between his jacket and the one Harrison Ford wears in the movies if you purchase the Kids Indy Leather Bomber jacket. Available in sizes 6 through 16, it is made of goatskin that is both supple and durable for about $180. You can also purchase a jacket similar to the one worn by Mutt in the most recent Indiana Jones installment, Indiana Jones and the Kingdom of the Crystal Skull. For the Indiana Jones look on a budget, look no further than the Deluxe Boys' Indiana Jones Costume set, available at Walmart for around $30 in small, medium, or large. 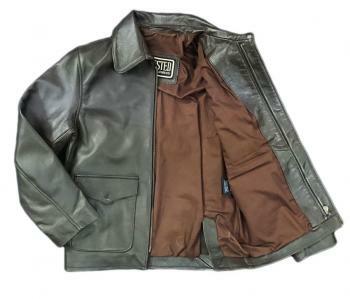 The jacket is made of faux leather and has painted on details which include an Indiana Jones logo. Along with the jacket, you will also get an Indiana Jones shirt for your young man to wear underneath, and a pair of khaki pants, just like the archaeologist, professor and adventurer wears in the movies. An Indiana Jones style knapsack, hat, and bullwhip are also available from this website for the full Indy ensemble. The best purchase choice depends on your situation and your son's needs. If you want a jacket just for fun or play, one of the less expensive options may be the answer. 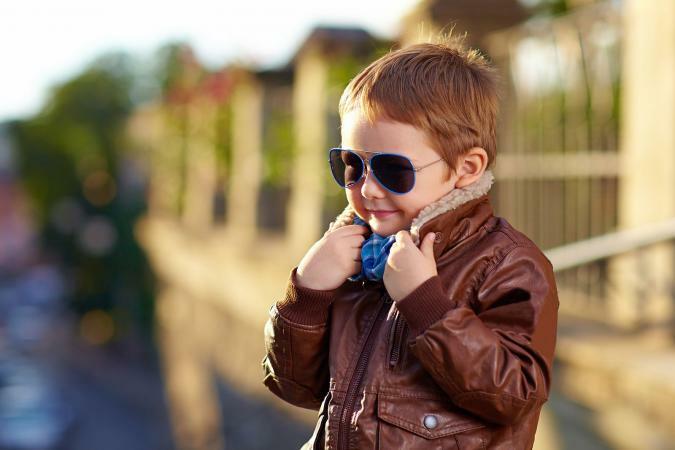 However, if the jacket is a true fashion statement, you may be better off buying the best.